Unlike any other martial arts style, Kuk Sool Won is headed by one master who maintains a strict quality control over all schools that teach Kuk Sool, ensuring that all Kuk Sool students learn the art as it has been taught for thousands of years. 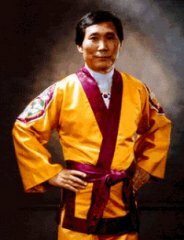 This master is In Hyuk Suh, whose title is Kuk Sa Nim, or National Instructor. In Hyuk Suh originally organized the many different facets of ancient and contemporary Korean martial arts into the current curriculum of Kuk Sool Won and he is the founder of the World Kuk Sool Association, formally establishing it in Korea in 1958.